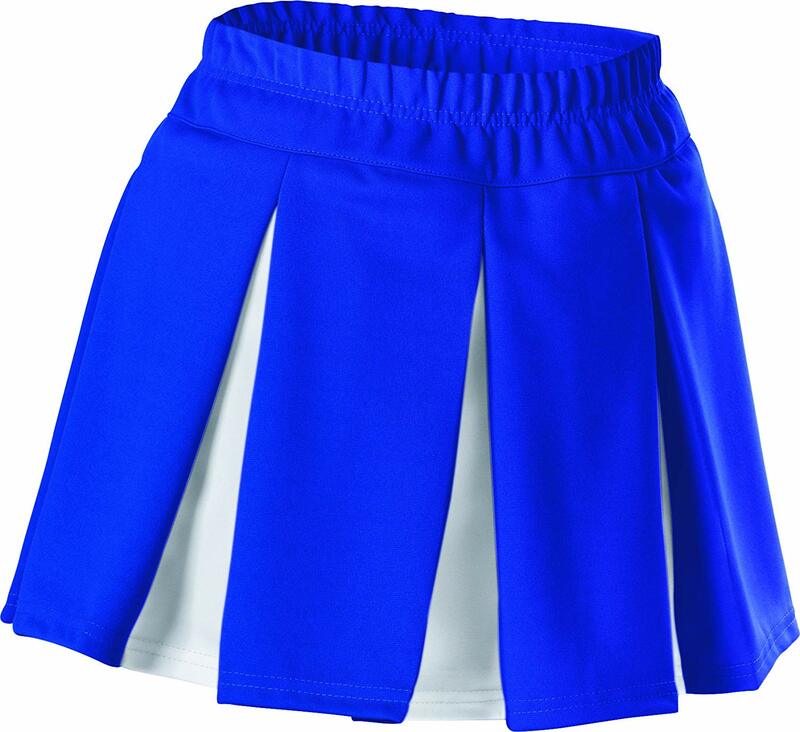 Alleson Multi Pleat Cheerleaders Uniform Skirt. 15 oz. double knit polyester. Two color skirt with covered elastic waistband. Contrasting color pressed box pleats.